View the entire table of contents for the May 15, 2007 issue. E.B. Bridgman, one of Washington's early wine pioneers, planted Cabernet Sauvignon shortly after Prohibition, but it wasn't until the 1960s and 1970s that the grape's presence increased in the state. At more than 6,000 acres, Cabernet plantings slightly outnumber those of Merlot. 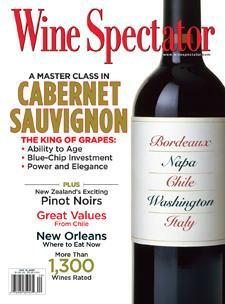 For the full article, check out the new issue of Wine Spectator, on newsstands April 12, 2007.